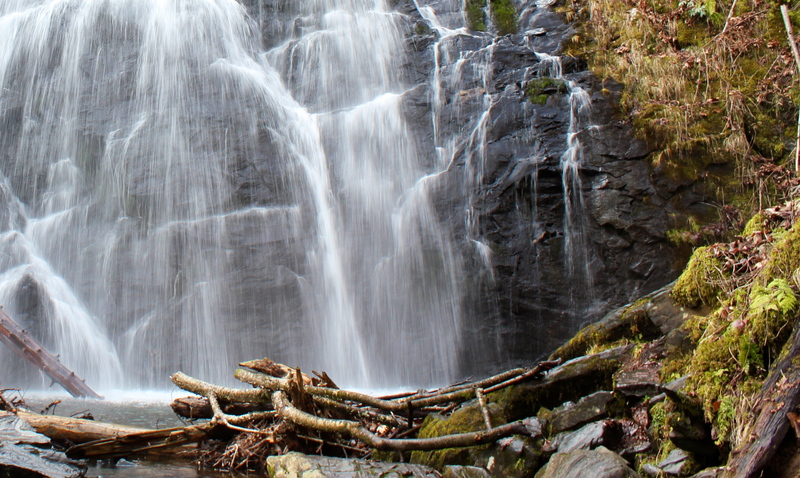 Have you had the chance to see Crabtree Falls yet? If not, you should certainly plan a trip sometime to see this beauty in person. It is a 70 foot nearly vertical cascade on Crabtree Creek. No waterfall in NC does more with less water as the creek this is on is fairly small. This is yet another gorgeous waterfall offered by the Blue Ridge Parkway, this time at milepost 339.5. If your were to look on a map, and search for the town of Little Switzerland, you would be just about there. 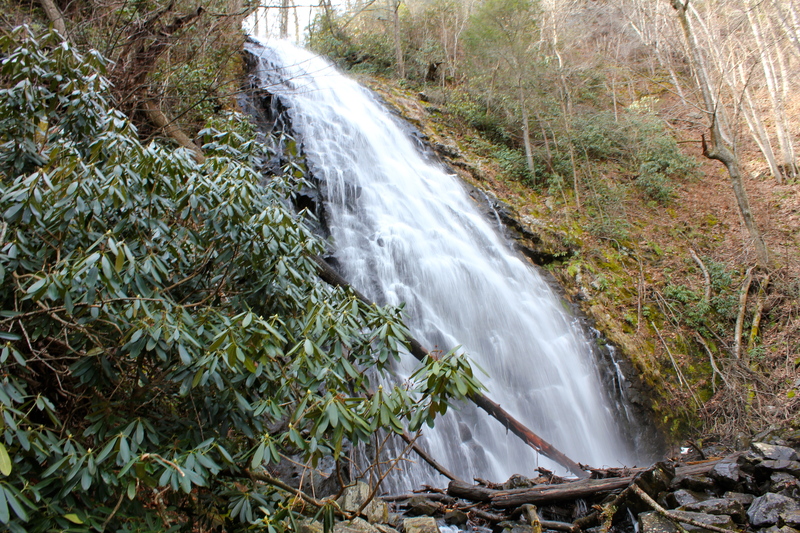 Crabtree Falls is one of the larger attractions on the Blue Ridge Parkway. It gets left out sometimes to its big brother just a few miles to the north Linville Falls. 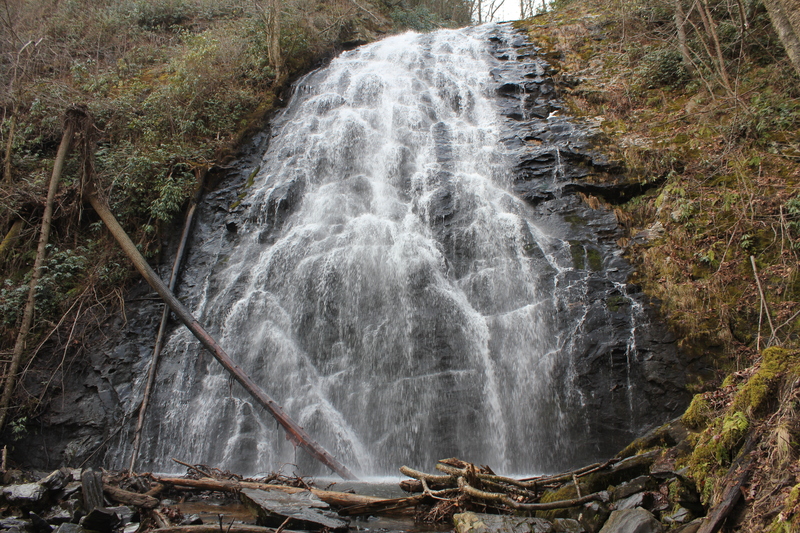 Make no mistake about it though, this is one fine waterfall, I personally prefer it over Linville. This attraction offers a very large campground with ampitheater, a fairly large gift/coffee shop as well. Too bad they are all closed this time of year, a steaming cup of Crabtree java would have hit the spot yesterday! The trailhead for this is in the back of the campground, there is a parking lot and plenty of signs to get you to the right place. In February, you must park in the front and walk an extra 1/4 mile each way, but all in all it was only a total of 3 miles, and definitely worth it. Getting there is easy, basically 1 mile to the bottom of the falls , all down hill. There are some well placed steps in a few of the steeper areas. Once you get close the roar of the falls is evident, and when you first see it….wow!! Once there, there is a bridge that crosses the creek with a seat built into the middle to view the falls. Good luck getting to sit there in warmer weather. Both banks of the creek are accessible to get close to the falls for great pictures. I prefer the shots from the left side personally. In the summer, your shots might be filled with hikers cooling off in the cool spray put off. Enjoy your time down here, it is a special place. Then….the fun really begins. The return trip, is where your body will get the workout it needs. The next 1/4 to 1/2 mile is straight up. While down at the falls, look up on the right side at the cliff way above, this is where you will be after many switch backs and steps. I find it best to just look down and climb up, next thing you know, you are there. Once there, an interesting shot of the waterfall from above is present, though it does not compare with the shots from the base. From here, the trail flattens out and follows Crabtree Creek for the next mile or so. There will be a few smaller waterfalls and cascades and a scenic view of the creek from a bridge. 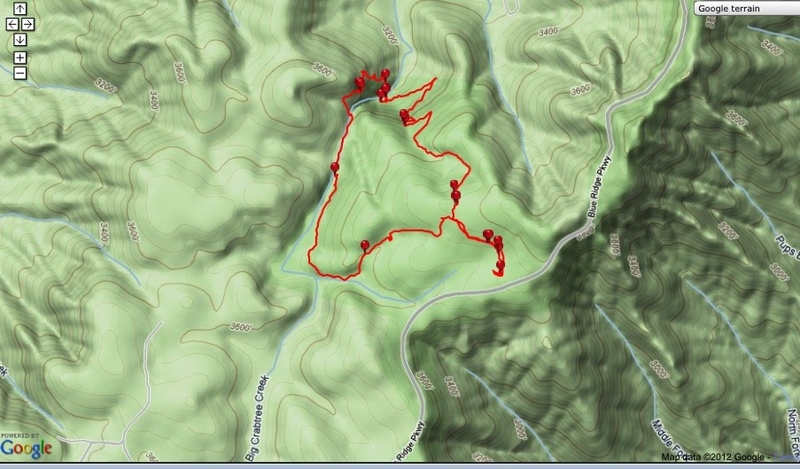 It then turns left and eventually joins up with the original trail just below the trailhead. The loop is complete and tired most people are tired and thirsty at this point. As mentioned earlier, Linville Falls is just to the north, while Mount Mitchell and Craggy Gardens lie just to the south, all with numerous hiking opportunities and must-see attractions. This is good stuff, Chris! Looks like I missed out. I’ll continue to follow you vicariously! Hate you missed it Myke! It sure was nice up there. Maybe another time.